The first Latin American clarinetist to record under the distinguished British label “Clarinetclassics,” Jorge Montilla is internationally considered one of the best clarinetists in Latin-America and one of the world’s best Eb Clarinet players. He has an extensive repertoire including the major works for the clarinet and he has been appointed to premiere solo works by important composers such as Diana Arismendi, Roberto Cedeño Laya, Fidel Rodríguez, Mischa Zupko, Alfred Prinz, Ken Froelich, Alexandre Eisenberg, Víctor Varela and Efrain Amaya. Montilla is one of the many fine musicians produced by Venezuela’s “El Sistema”, founded by José Antonio Abreu also known as the Foundation for the National Network of Youth and Children´s Orchestras of Venezuela. El Sistema is a state foundation which oversees Venezuela's 125 youth orchestras. Mr. Montilla’s clarinet teachers have included Valdemar Rodríguez, Mark Friedman (Bachelor degree in Clarinet Performance from the Instituto Universitario de Estudios Musicales, Venezuela) and Howard Klug (Masters Degree in Clarinet Performance and Artist Diploma both from Indiana University Jacobs School of Music, USA) Additional studies were made with Luis Rossi, Walter Boeykens, Antony Pay, Jonathan Cohler and Ricardo Morales. Former Principal Clarinet of the Simon Bolivar Symphony Orchestra, Montilla has appeared as soloist with the most important Venezuelan orchestras, the Indiana University Chamber Orchestra, the Vale Veneto Festival Orchestra in Brazil and the Youth Orchestra of Peru. He has given recitals in important halls of Venezuela as well as in the USA, Martinique, France, Puerto Rico, Colombia, Costa Rica, Czech Republic, China, Peru and Brazil together with leading important soloists and chamber music groups. 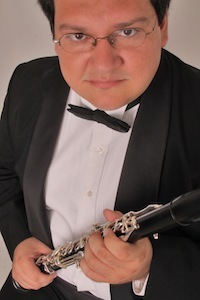 As a founding member and Artistic Director of the Caracas Clarinet Quartet, Mr. Montilla has concertized extensively throughout the world (South America, Europe, Asia and the USA), he has recorded two CDs (the second featuring Paquito D’Rivera) and his many pieces for the CCQ have made him one of the pre-eminent composers/arrangers for clarinet ensemble today. Montilla’s pedagogical experience includes teaching at Arizona State University and he has been Chairman of the Clarinet Department at the Conservatory of Music Simón Bolívar and clarinet professor at the Latin American Academy of Venezuela. He has also given master-classes, clinics and workshops for important universities and music conservatories in Colombia, Chile, Barbados, Sta. Lucia, USA, Puerto Rico, China, Costa Rica, Czech Republic, Peru and Brazil. At the present, Jorge Montilla represents Rossi Clarinets, Rico Reeds, Clarinetclassics and BG Ligatures. His compositions and arrangements are published by Woodwindiana Editions, USA. Jorge Montilla is a columnist for the International Clarinet Association’s magazine “The Clarinet” and keeps a hectic international career as soloist and clinician..